HOPE is the expectation that what you wished for will be realized. The Christian hope though, is not a wishful thinking. It is a Christian virtue that gives a believer the strength, purpose, patient and confidence to wait in expectation for the fulfilment of God‘s promises. It is the “confident expectation” of what is firmly assured even when it is not very clear at that point in time. And so, it‘s work is to keep in perspective what is to come and it has the capability to change it‘s form from mere hope to faith when the required actions are taken. Without hope life would have been so difficult, empty and meaningless. But when the righteous trust God and put their hope in Him, he will be helped and will not be disappointed. In the Bible’s record of the woman with the flow of blood in Matt. 9:20–22; the woman who has suffered from bleeding for 12yrs said to herself “if only I may touch His garment, I shall be made well“,. That was hope! Then suddenly, she “came from behind and touched the hem of His garment“, and that‘s an active FAITH! There is no hopeless situations out there for a true believer. The Bible said “Christ in you, the hope of glory” Col. 1:27. This was true of our father Abraham. So, we should really be excited, hopeful and expectant that the future is bright notwithstanding the medical conditions, financial situations and relationship difficulties of today. 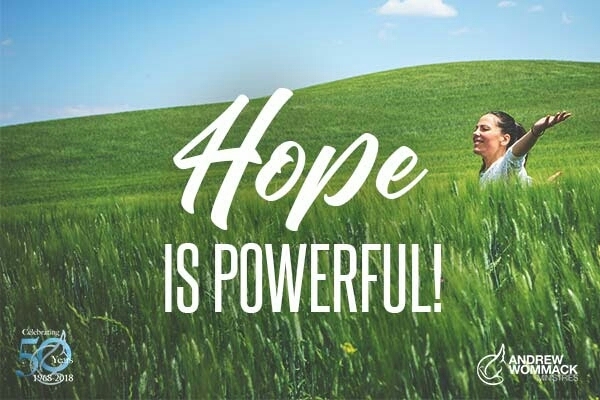 Keep your hope alive and active. Whatever desire you nurture in your heart can still be achieved because Christ in you is an assurance that you will be rejoicing today, tomorrow and forever. Previous Post The Sealed Book Is The Bible. Copyrighted. (Rewritten, as inspired). An analogy by Timothy Baugh. (A long read but well worth it!) March 24, 2019. Welcome back. I hope you enjoyed your trip. It was full of heartache. Please what’s up.